The worlds of diplomacy, law, and art converge on the Oegyujanggak, a royal Korean text currently on display at the National Library in France. South Korea has been trying to get the text, looted by French troops in the 19th century, back for years. In a bilateral accord that drew disapproval from the “culture industry” in France, Presidents Sarkozy and Lee Myung-bak, France has agreed return the items on lease to Korea. However, President Mitterand had already agreed to return the items in 1993. 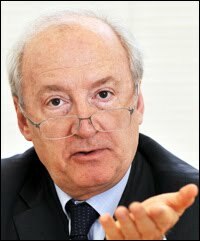 As former French foreign minister Hubert Vedrine points out the dispute parallels other stories involving national identity, and evinces the same issues debated from Peru and New Haven and Ethiopia to Rome. More information at The Korea Times.